Portal Resort Odessa welcomes you! Odessa beautiful and unique city, and if you have not been to South Palmyra, her loving and often poetically called - hurry up, we're waiting for you. Created by Europeans by imperial order of Catherine the Great this beautiful city on the Black Sea as a free city , and therefore flocked here adventurers and entrepreneurs, artists and financiers, the military and the foreigners, especially since the city was Russia's window to the Black Sea. Odessa governed by people who wanted to leave a light footprint in history, Duc de Richelieu, Vorontsov, de Ribas, Marazli, and even business owners for the city beyond their means good works, and architects Bernardazzi, Bofo, and other talented people of the time, they embody ideas and that is what made Odessa prosperous European city . Today Odessa - the Pearl near the sea, the beauty and the bride is ready to offer you a lot of interesting things - of course, first of all, this unique architecture and the spirit of the city - Deribassovskaya Primorsky Boulevard, Potemkin Steps, Opera House, City Garden, Philharmonic Hall, Pushkinskaya street and French Boulevard - these places everyone knows who has ever heard of Odessa. Loads of fun awaits you in South Palmyra beyond these well-known places, but let's not forget that Odessa is also a city on the Black Sea coast - the beaches Langeron, Otrada, Arcadia, Bolshoy Fontan, Chernomorka and Sauvignon - modern, but at the same time free beaches of Odessa - is public property And if you find the strength to walk on the Highway of Health from Langeron to Arcadia all the way along the beach, taxi drivers in Arcadia will be happy, to deliver you "inexpensive" to the hotel. 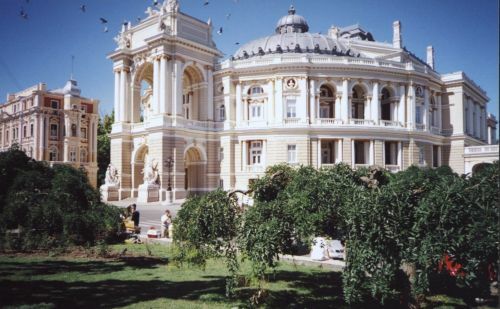 Odessa will provide you a holiday to suit every taste - you love theater - so we have the Opera, performed their works here Tchaikovsky, Rimsky-Korsakov, Rachmaninov, Eugène Ysaÿe, Pablo Sarasate, sung here great Fyodor Chaliapin, Salome Krushelnitskaya, Antonina Nezhdanova, Leonid Sobinov, Titta Ruffo, Battistini Dzheraldoni, danced the first ballerina of the world - Anna Pavlova. The Odessa Opera House - it's stunning beauty combined with high art. Odessa Theater of Musical Comedy named Michael Vodyanoy known throughout the former Soviet Union, and played in it, Mikhail Vodyanoy personally. In the Concert halls, we offer you to listen to classical music performed by our orchestra under control of Hobart Earle, in the Russian theater - the classical drama. Do you love museums? We have Western and Eastern Art Museum , where in 2008 carried the canvas by Caravaggio, but Germany returned it, the Archaeological Museum with a stunning collection, Art Museum, known before the revolution throughout Russia and many other museums and collections, even a museum of Police on the corner of the Jewish and Pushkin streets. As you can see, sights in Odessa more than rich! You want to have fun - we do it can be the best in the world all year round. To begin with, we have April 1, April Fool's Day and 2 September - Day of Odessa (please note not to 1st Sunday of September as it is accepted at all), namely 2 September weekend. Yes we have a rest when we have fun, because the city is coming as tourists, that we can not even go out, we will trample. Therefore, the main celebrations in Odessa say tourists Odessans sit at home and watch it all on TV. 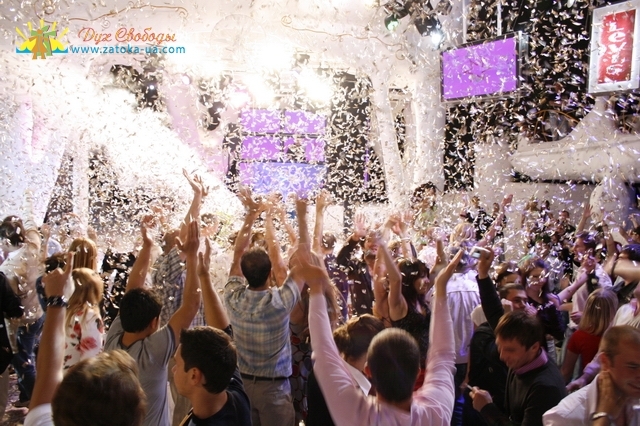 We have the best night clubs in Ukraine, and I would like to see the nightlife lover who does not know their names Arkady and I for free, of course, will not name. But we also have great winter night clubs, which have already been, when in Kiev, there were only Handel, and there was no where to dance to good music. I'm not talking about our restaurants, where the guys from Michelin catalog just shy to go. Cosmopolitan city has a rich cuisine, and institutions may have fewer than in Moscow, St. Petersburg and Kiev, but amazingly delicious and the prices are just ridiculous. Of course, you will need somewhere to stay, so in Odessa there are hotels, motels, and there is a mini-hotels, apartments, private homes, cottages and apartments. A variety of great, so in the summer of Odessa close to the beaches like a big ant becomes in 2 times more than in the winter, particularly in view of family members who do not come from only a couple of days to stay for 2 weeks. But Odessa rubber, gaining a deep breath, and from the sea it is always fresh, Caledonia kindly takes in people who are going to rest, get positive emotions and impressions. Two words for our women - is nothing like you've ever seen in my life - intelligent, beautiful, talented. Right after Odessa's attractions! To them it is difficult to approach, but if you show persistence and generosity - will be happy. They like bright light and beautiful life, so they can be found most often on the beaches, nightclubs, restaurants and fashion stores. Maybe you're lucky and one of the goddesses descend to you. Do you love to Odessa, I know. Come, we are waiting for you, and also love their own way. It is useless to be offended if a 2-blocks from Deribasovskaya you in her quest, deployed in the opposite direction - so sometimes joke in Odessa. Just try to breathe a mixture of fresh sea salt air, sun and good mood and understand - the main thing in Odessa are the people who live in it. And let them have changed dramatically over the past 218 years, they are still the best in the world. A number of comments to the tourist and entertainment facilities, we take into account the personal experience of our managers. Many recreational presented a detailed description and photos, I hope it will help you relax and pass the time and maybe even fall in love with Odessa. Welcome to Odessa - the Pearl of the Black Sea! For most modern people, vacation - this is the only time of the year, which can be carried out without worrying about the many challenges and difficulties daily. As a rule, people are planning their holidays in Odessa or the Carpathians, long before the promised time, choosing a resort, or village where they want to go. Interestingly, only a couple of years ago, a typical venue for holidays was considered a private villa, but today the exponentially growing number of those who want to see more of the city and get acquainted with national culture, many now choose holidays in Odessa. 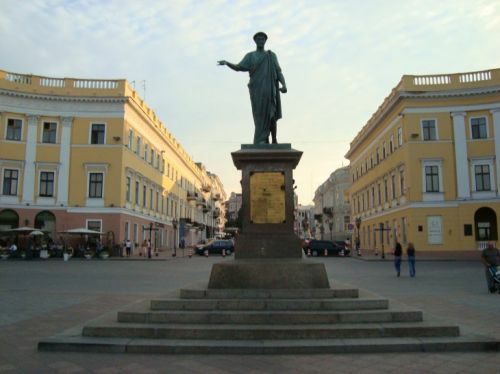 That's right, the perfect place to restore physical and spiritual forces today can be considered to Odessa, which is welcoming tourists from various regions and countries. For some reason, it was felt that Odessa is famous only for its huge bazaar and unusual mentality of local people. In fact, in the city a lot of great beaches, historical, cultural and architectural attractions, and entertainment venues. Anyone will be able to as soon as possible to find everything you need for recreation, from the excellent hotel and ending with sports fields. Even the most discerning visitors to the city feel admiration, wandering through the streets and alleys of the old Odessa. 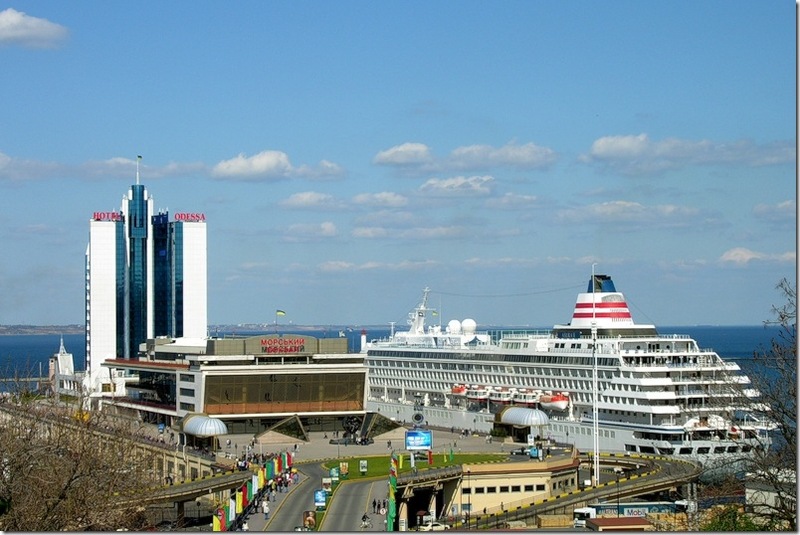 As tour operators say Odessa has long ceased to be a place only beach tourism or business, come here to walk on the Potemkin stairs and enjoy the panoramic view of the port from the height of the Primorsky Boulevard, Odessa attractions fact known far beyond Ukraine. A huge number of people suffering from cardiovascular diseases and problems with the musculoskeletal system come to Odessa, because here are the leading clinics and specialized balneological sanatorium. With regard to the financial perspective, there are several options for accommodation in Odessa, which vary depending on the particular location and distance from the city center. Of course, nobody wants to spend their vacation and pay high prices for expensive hotels, so it is often preferred private rental accommodation, such as rooms, apartments or houses. Prices in Odessa in 2013 will probably rise, so the property is better to take care of booking in advance. This option is ideal for group travel, when going to a friendly company, which plans to have fun while viewing memos Odessa and discussing the events of the day. 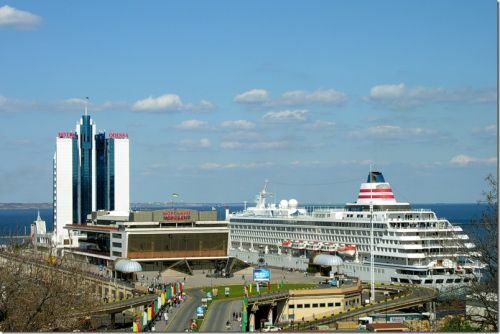 If you are going to Odessa, planning to not only stay in Odessa in 2012, but also for business purposes, then, of course, it makes sense to stay where you can feel comfortable and enjoy the necessary technical adaptations. Despite the fact that the private sector seems to be more profitable, the hotel provides guests with a comprehensive package of services, so that they do not need to worry about the little things everyday. An important role, as mentioned above, plays and hotel location specificity, which in most cases are in close proximity to the business center, or in the coastal part of Odessa. Be that as it may, today Odessa is a leader in the number of tourists and is an excellent place to relax different categories of tourists.